We are in the midst of the Christmas season, and rolling out our Holiday Gift Guide, so we haven't had much time to point you toward cool Kickstarter projects, but there are a few campaigns we thought you should take note of before they come to an end! About the micro-est of micro games, ever. This game consists of 1 card that acts as the playing board, and you use pocket change to attempt to take control and score points. They've funded super fast, and if they hit enough stretch goals, the card will be turned into a sweet plastic credit card type card that you can keep in your wallet, so you can play it anywhere! The game looks like it's a lot of fun for those spontaneous moments when you just need to control an imaginary plot of land! 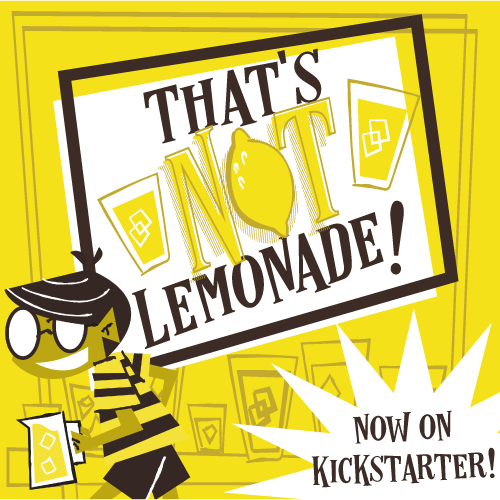 This campaign ends on December 21, and for a meager $3 you can get your own copy of the game! Check out the full campaign here! That's right, more Pixel Lincoln, meat-based weaponry, and crazy cards for your pixelated-Presidential adventures! This expansion includes a bunch of the things you know and love about Pixel Lincoln, plus some new types of cards, including "environment" cards that affect the levels they show up on. We had a nice chat about these new cards and much more with designer Jason Tagmire on our third episode of our podcast (you can find it here). The campaign ends on Dec. 27, and $35 will get you in on all of the new cards! Check out the whole re-election campaign, right here! Thanks again for checking in with us. You can subscribe to our blog over on the right! And check us out all over the Web on Facebook, Twitter, Instagram, and YouTube!